When choosing a car, there are a few things to consider. Taking time to work out how you will use your car, the types of journeys you regularly make plus considering the things that are important to you in a car can help you choose a vehicle which will best meet your needs. Watch our video for more on what to consider when choosing your vehicle. What types of journeys will you make? Drive long distances on holiday? How many people are going to travel in the vehicle regularly? How much motorway driving will you be doing? Do you live in a busy town or city? Are you able to change gear easily? If you have a mobility aid, will it easily fit in the vehicle? Do you need to take your scooter or wheelchair with you? If you live in a big city for example, and the car is used mainly for short journeys, a small city car may suit you. If you have a big family, you may want to consider a large family car or MPV. If you find it difficult to change gear easily, an automatic might be a good choice. Small changes in specification can have a big impact on your comfort or the car’s suitability. For example, seat height, door opening angle and positioning of the seat belts can all make a big difference. 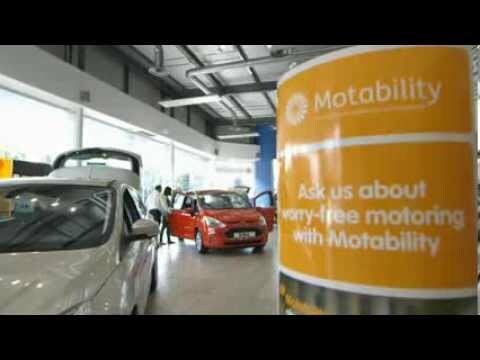 If you'd like any advice or help on anything mentioned talk to one of our Motability Specialists.